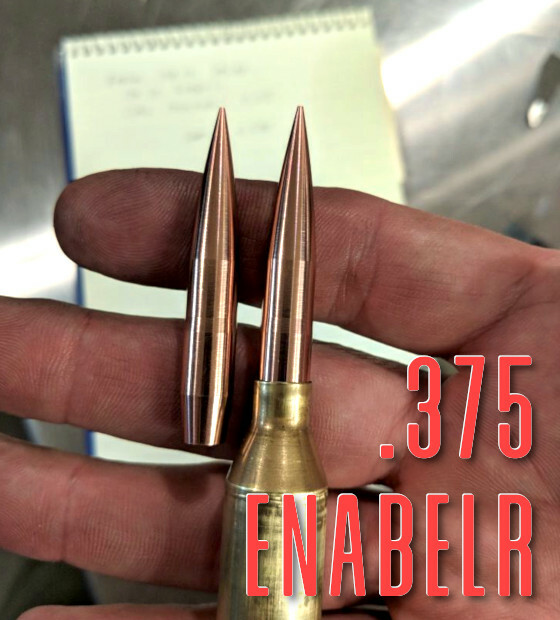 .338 EnABLER (left) with Berger 300 gr Hybrid, and .375 EnABELR (right) with Berger 407 gr Solid. 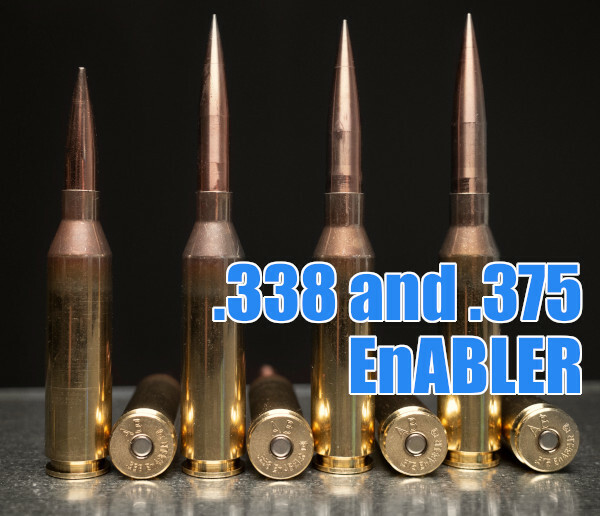 Applied Ballistics Weapons Division (ABWD) has announced the release of the new EnABELR cartridge. The EnABELR is a medium-capacity, magazine-feedable cartridge available in both .338 and .375 calibers. As you can see from this chart, when using the new Berger solid .375-cal bullets, the .375 EnABELR shows less drop at 2500 meters than the .338 Lapua Magnum and .375 CheyTac (with 400gr CE bullets). 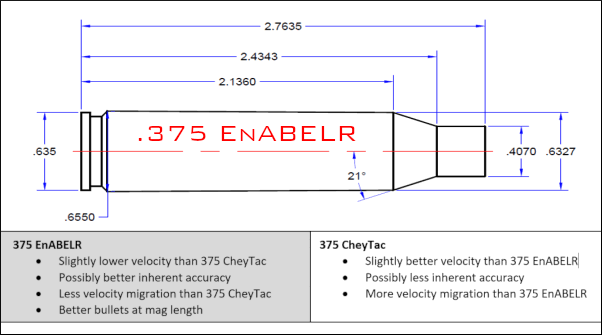 Applied Ballistics will be offering all components required to shoot (and reload) the EnABELR cartridges including: chamber reamers, Peterson brass, ABWD-made reloading die sets, and complete tactical and competition rifle systems chambered in both .338 and .375 versions of the EnABELR cartridge. The .375-caliber version of the EnABELR has been selected for Phase 2 of the Extreme Sniper Strike Operations (ESSO) program, a government-funded project to develop a high-performance, Extreme Long Range sniper weapon system. Share the post "Applied Ballistics Offers Turnkey Solution for ELR Game"
wonder why they went with such a short neck. parent case issue?